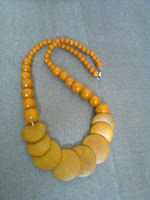 I have recently developed a love for wooden jewelry,from earrings to neck pieces to bangles...I love them. 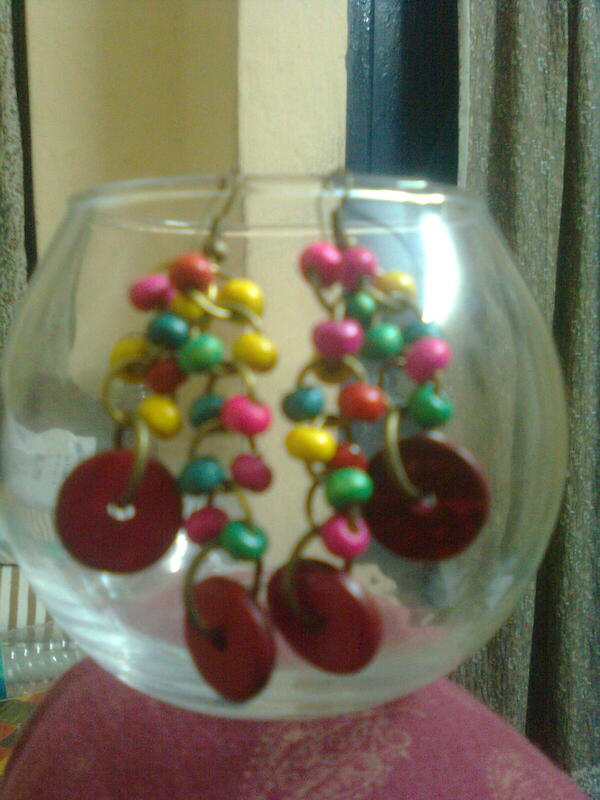 Am a stud person,don't really like earrings dangling near my neck but the colors on this one made me buy it. 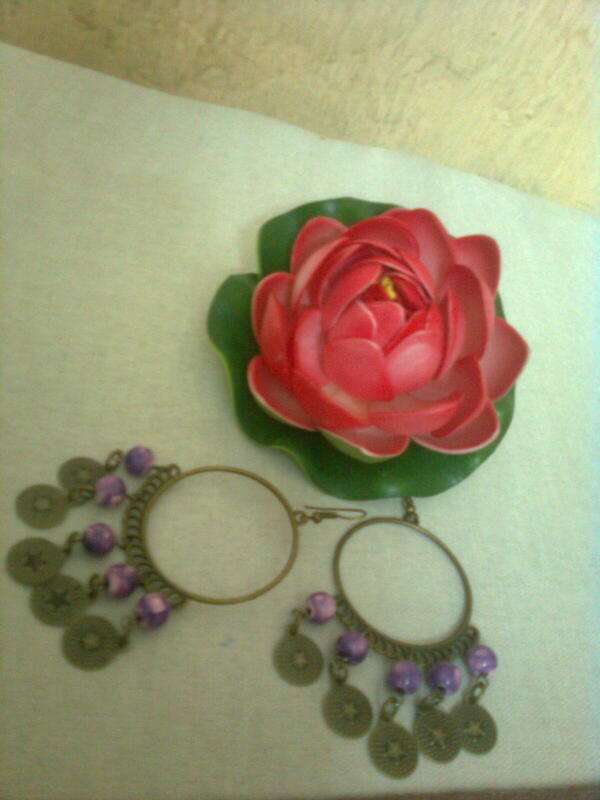 Cost me 40 INR. Well being the impulsive buyer I am,I didn't give a thought to how I would add them to my outfit!! 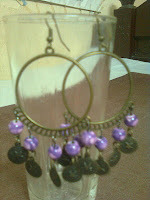 Do leave your suggestions on how to accessorize them and if you liked these or not. 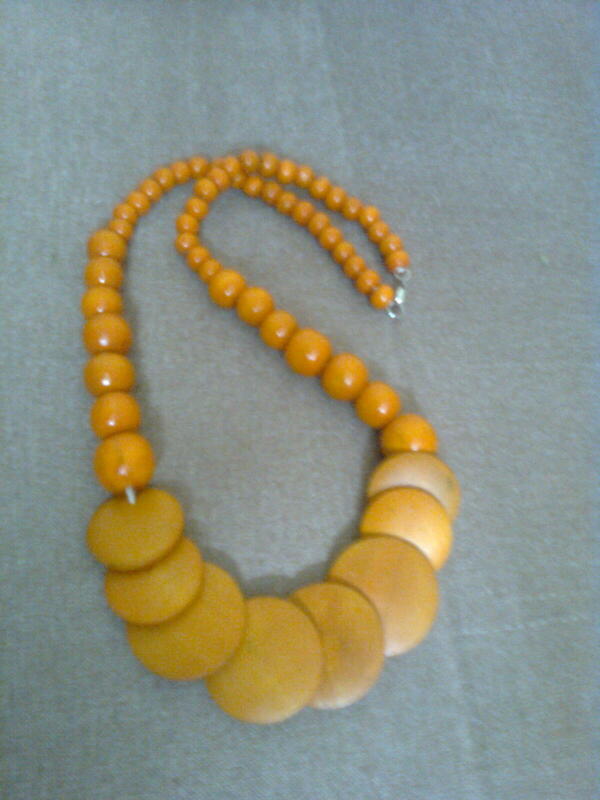 @Opal _thanks :D You could do a post wid your neck pieces nw! !